Re Salon and Medspa is Charlotte’s premier beauty destination. 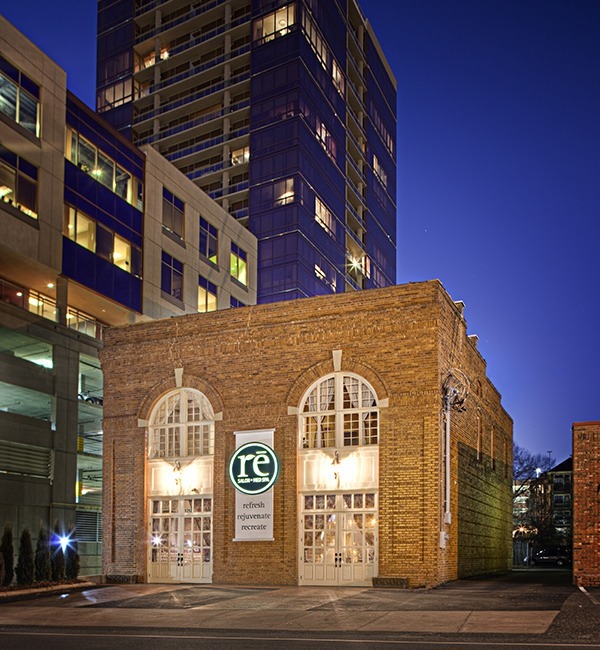 Located in the rescued and revitalized historic Fire Station #2, Re Salon and Med Spa offers state of the art technology with a sophisticated flair that is committed to providing each guest with an exceptional experience. The hair salon is staffed with expert hairstylists and color specialists who create customized color and signature haircuts, complete with a stress-relieving hot-towel wrap and scalp massage. Upstairs, guests are enveloped in the plush retreat of the spa. Expert trained medical estheticians customize each individuals spa experience with a skin analysis to evaluate the condition of their skin and prescribe result-driven treatments. Or if you are looking to turn back the hands of time visit re’s med spa and let the experienced Physician Assistants give you a natural beauty makeover. Whether you are looking for a brow wax, a blow out or Botox… RE HAS IT ALL! WHY SHOULDN’T YOU? Come see what all of the buzz is about!